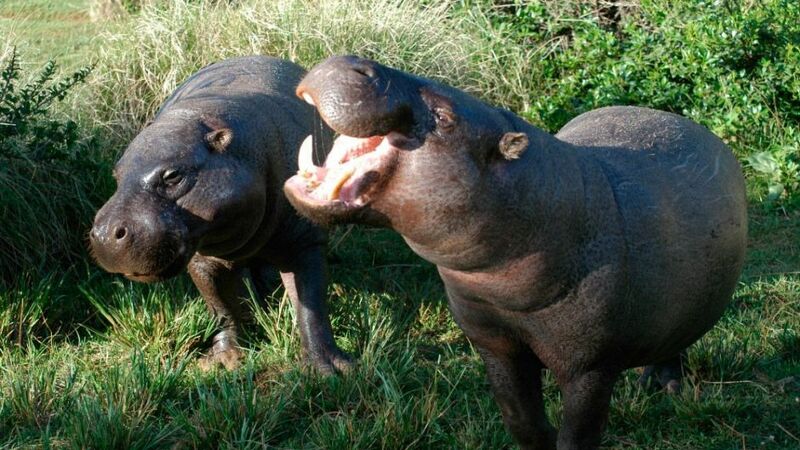 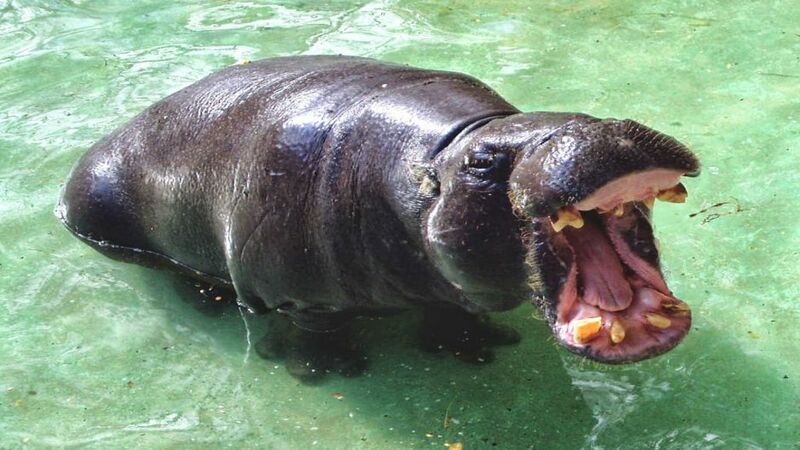 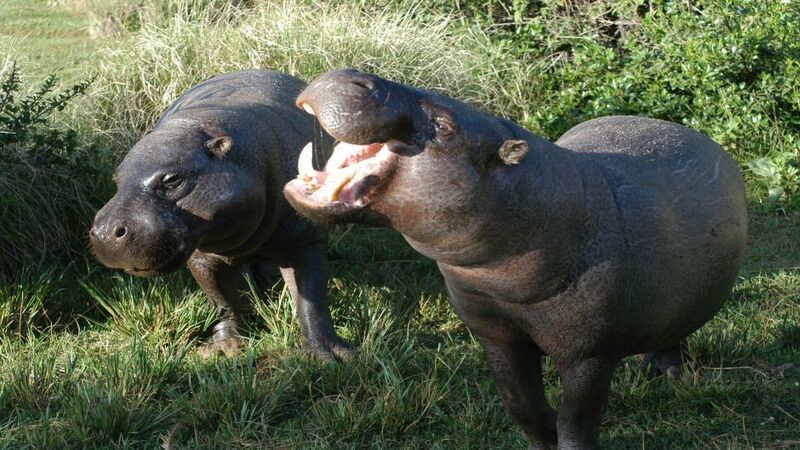 The pygmy hippopotamus is a large mammal native to the forests and marshes of West Africa. It is a solitary and nocturnal animal. 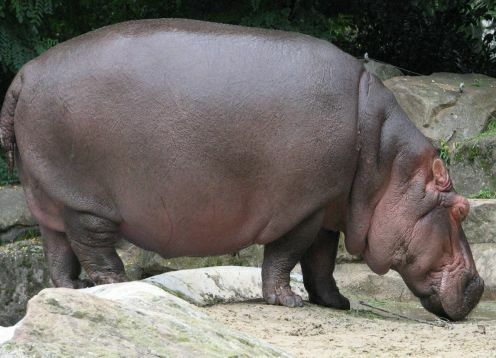 The Pygmy Hippopotamus resembles a small hippopotamus, but with proportionately longer legs and neck, a smaller head and less prominent eyes, which are rather positioned to the side. 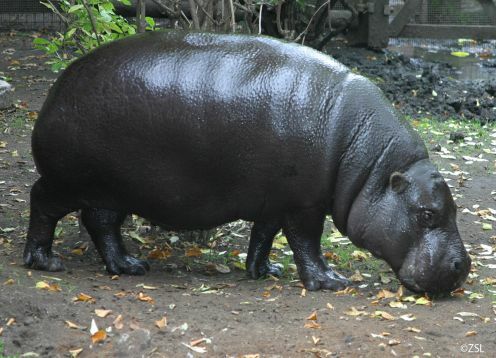 The head-body length is 157-175 cm in males and 142-150 cm in females, the shoulder height is 81-100 cm in males and 75-83 in females. 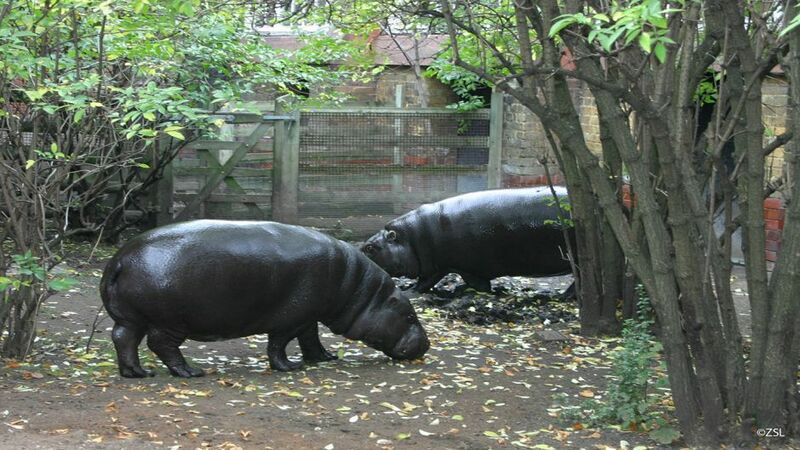 Pygmy hippopotamus feed on ferns, leaves of tender trees, fruits, stems, succulent rhizomes, herbs and grass.